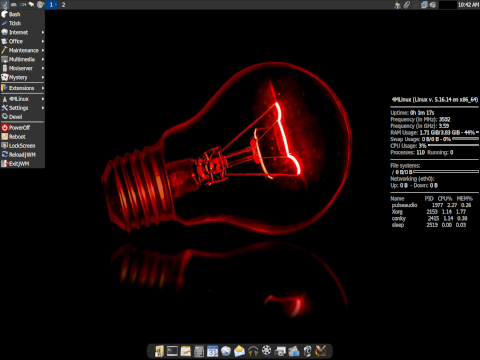 Rate this project 4MLinux is a small, 32-bit Linux distribution focusing on four capabilities: maintenance (as a system rescue live CD), multimedia (for playing video DVDs and other multimedia files), miniserver (using the inetd daemon), and mystery (providing several small Linux games). The project's latest release, 4MLinux 25.0, smooths out handling CA certificates, offers an option to disable the login screen and uses mpv as the default media player. The release announcement reads: "As always, a new major release comes with some new features: better handling of CA certificates (no need to accept them manually), full support for Zstandard data compression algorithm (4MLinux Backup Scripts), login screen can now be disabled (it's a response to user requests), GIMP 2.10 with full support for scanners and digital cameras, Python3 with Meson and Ninja (this is now, de facto, the main build system in GNOME/GTK+ ecosystem). 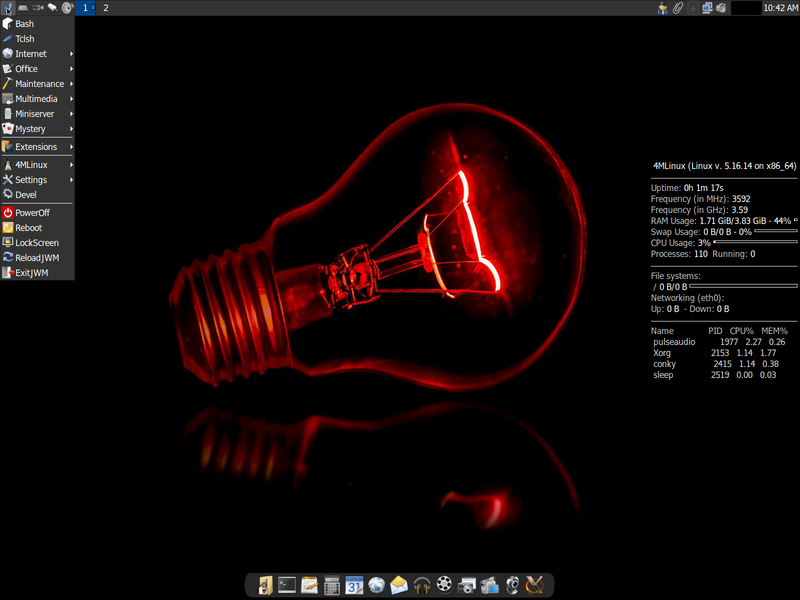 The default media player in 4MLinux is now mpv (with GNOME MPV). Other players (MPlayer, SMPlayer, Xine and VLC) are available as downloadable extensions. Good news for modern computers: all these applications are now able to make use of hardware video acceleration (via VA-API and VDPAU). Good news for old computers: MPlayer, Xine and VLC can play videos without X Window System (use Midnight Commander to select files to play)." Download (MD5) (pkglist): 4MLinux-25.0-32bit.iso (1,162MB), 4MServer-25.0-64bit.iso (1,259MB).